Susan Derges (born 1955) studied at Chelsea School of Art and The Slade, London. On graduating from her studies, a DAAD scholarship in Berlin was followed by several years in Japan. On returning to the UK, Derges settled in Devon where she was inspired by the River Taw to produce her early cameraless photographic works – the awe-inspiring, often large format photograms for which she is internationally renowned. Susan Derges’ process of visually recording nature – whether the flow of a river, rush of a waterfall or the night illuminated by a full moon and framed by silhouetted overhanging branches – is recorded from underneath the water’s surface, either within the landscape itself or beneath artificial worlds constructed in a large glass tank in her studio. Her work is best described by Purdy Hicks Gallery as revolving around the creation of visual metaphors, exploring the relationship between the self and nature. Derges’ pioneering technique of creating imagery through the night-time immersion of photographic paper directly into rivers and shorelines, reflects the work of early pioneers of photography, whilst also being contemporary in its awareness of environmental issues. 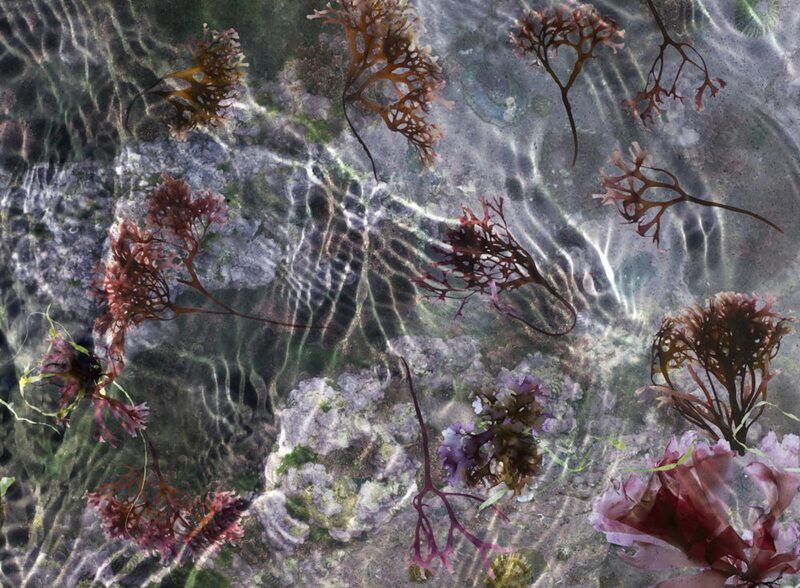 More recent digital explorations of the intertidal zone titled Tide Pools, have been developed with assistance from the department of Marine biology at University of Plymouth where she is visiting professor of photography. A selection of her group shows include Shadowcatchers, at V&A Museum, London (2010); Shadows on the Wall: Cameraless Photography from 1851 to Today at Museum of Fine Arts, Houston de Marseillaise; Fifteen Years of Collecting, Huis Marseille, Netherlands Natural Order and Purdy Hicks Gallery, London (2014) and Beneath the Surface, Somerset House, London (2015). Her solo shows include Print Room, at The Photographers’ Gallery, London and James Danziger Gallery, New York (1995); Embodied, Arnolfini Gallery, Bristol (1994); The Observer and the Observed, James Danziger Gallery, New York (1995); New Work, Paul Kasmin Gallery, New York; Transience of Nature, Nichido Contemporary Art, Tokyo Design Centre and Ingleby Gallery (all in 2003); Under the Moon, Purdy Hicks Gallery, London Von Lintel Gallery, Los Angeles (2015) and at Danziger Gallery, New York (2016). Derges’ work is in the collection of museums around the world including The Metropolitan Museum of Art, New York; The Victoria and Albert Museum, London; The San Francisco Museum of Modern Art and The Hara Art Museum, Tokyo. In 2014 Susan Derges was made an Honorary Fellow by the Royal Photographic Society. She lives and works in Dartmoor, Devon UK and is represented by Purdy Hicks Gallery, London. All proceeds from the sale of this edition go to Redeye, the Photography Network, Manchester in support of the next generation of photography talent.